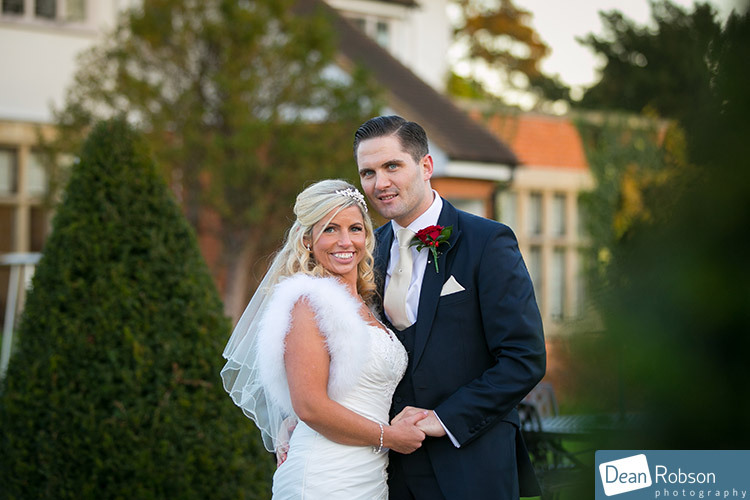 Greenwoods Hotel Wedding Photography: Yesterday I photographed Gemma and Steve’s wedding at Greenwoods Hotel (www.greenwoodshotel.com) in Stock (near Chelmsford), Essex. 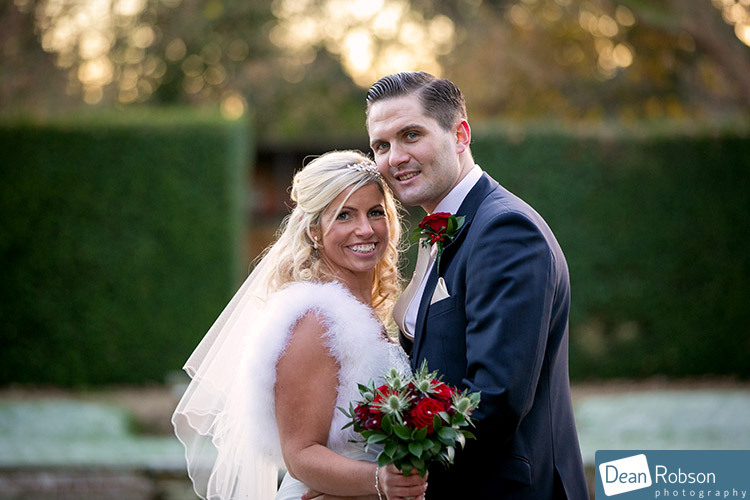 I arrived in the morning of the wedding and it was a beautiful sunny winters day, blue skies, but quite cold out. 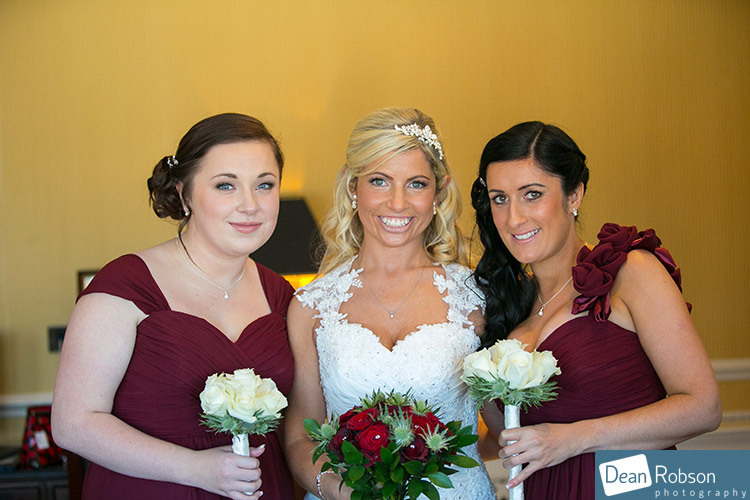 I met up with the bride and shot some of the bridal preparations and details. 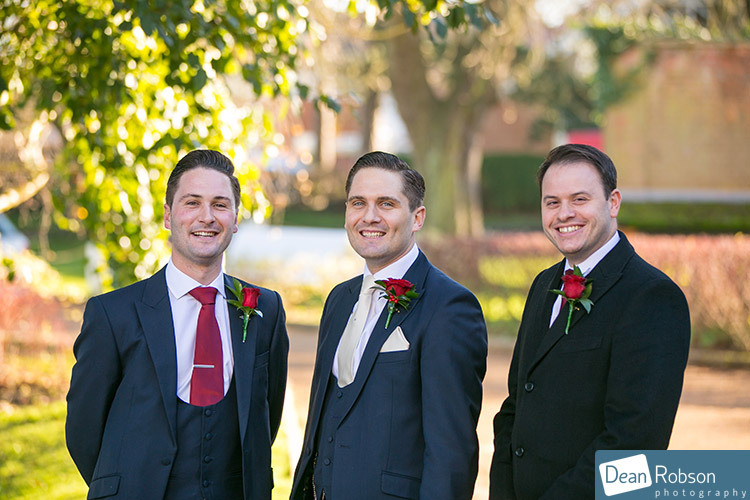 The groom arrived at midday and I took him and his bestmen outside for a few photographs. 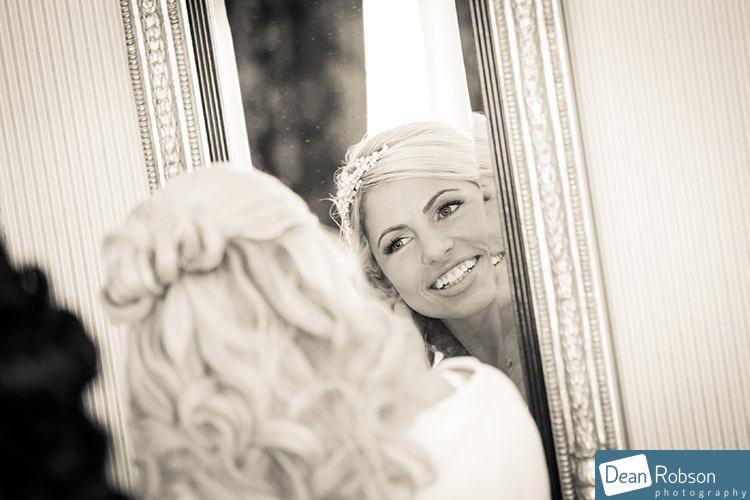 It was time for the bride to get in her dress and she looked absolutely stunning! 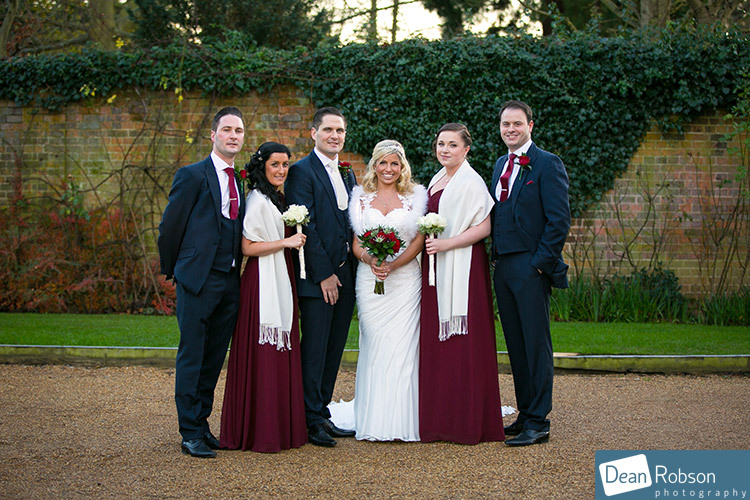 After the ceremony we all headed out into the courtyard for some family and group photographs. 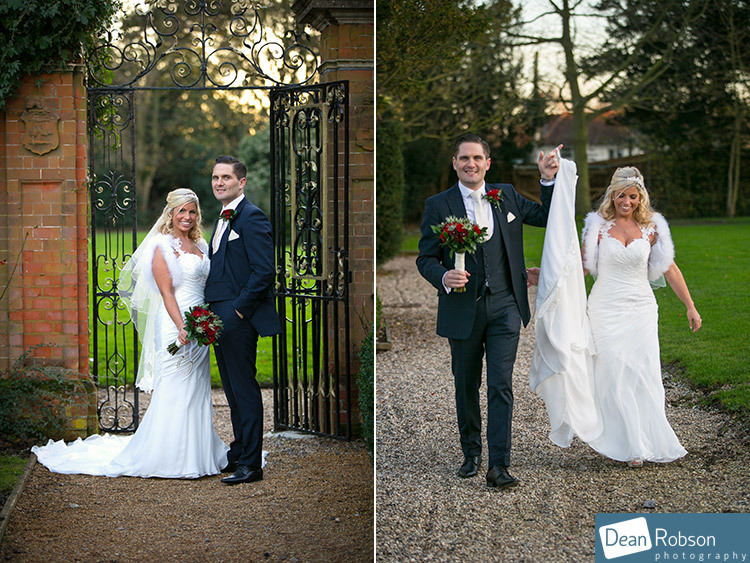 It was very cold, but outdoor photographs on such a sunny winters day really are worth it. 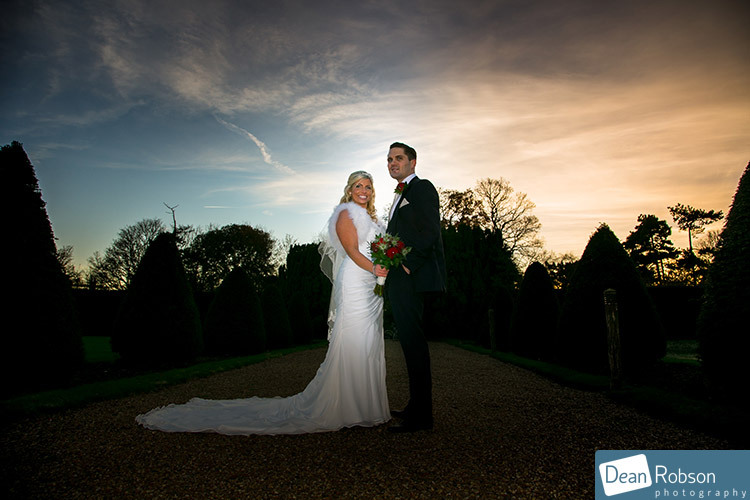 Even at half past three the sun was going down. 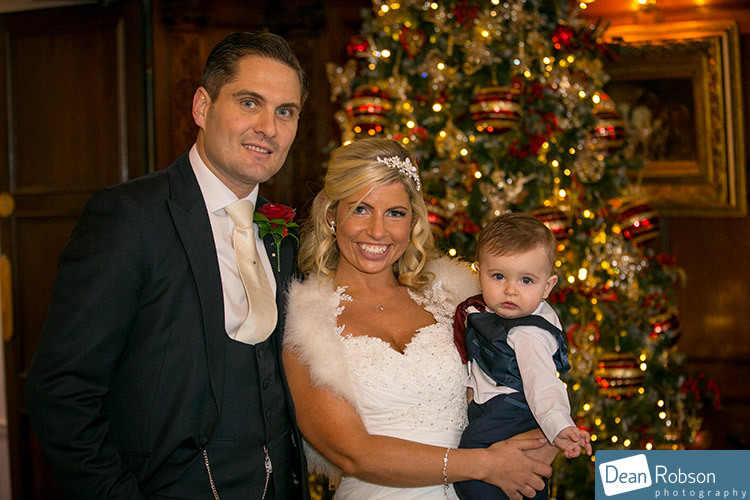 The couple had a very special page boy, their son Archie. 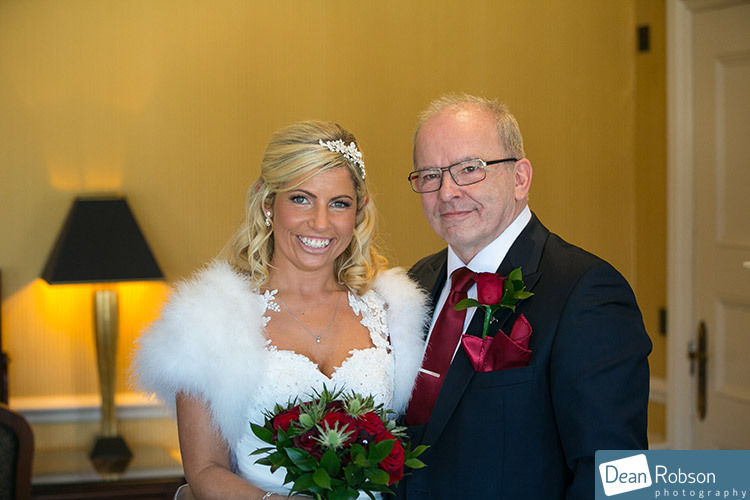 He was very well looked after and even had his own special wedding nanny for the day keeping him amused (Qualified Childcare by Alice Cory – 01277 634126). 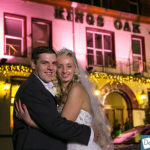 What a great idea to provide professional childcare which just takes the additional stress away from the couple on their big day. 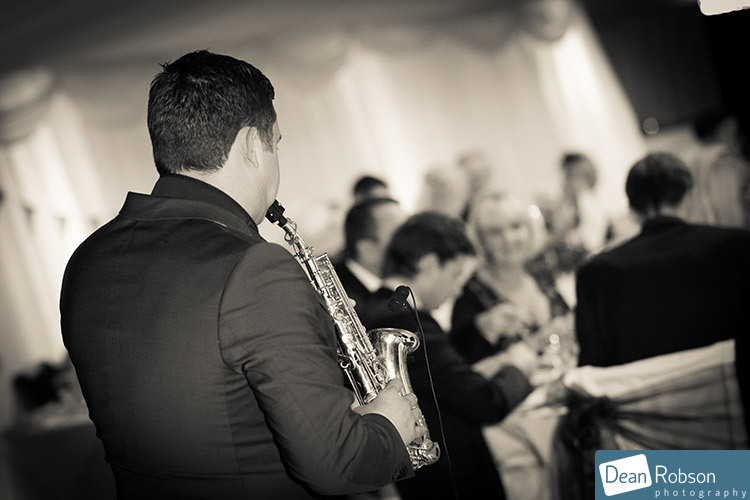 The couple had a saxophone player Paul Hardcastle entertaining them (https://soundcloud.com/paul-hardcastle-jr). 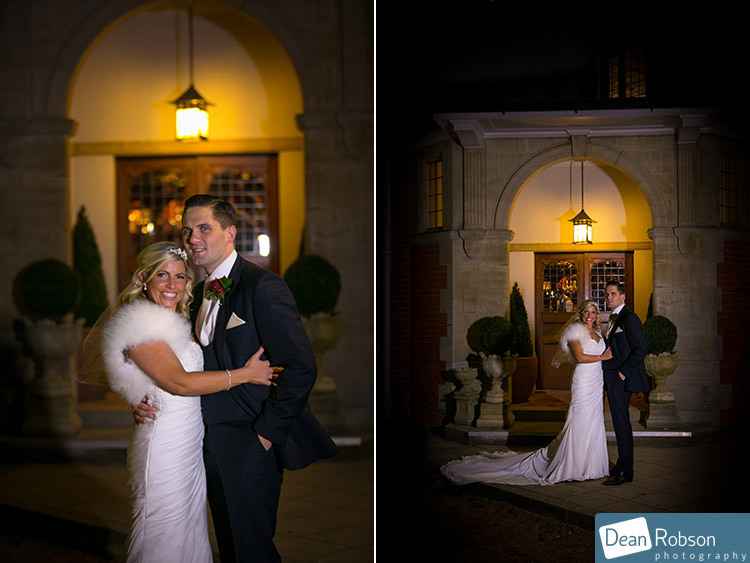 I took outside for a few final photographs using my night light. 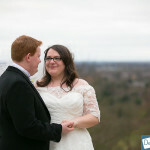 I had a lovely day with Gemma and Steve, and it was a real Christmas’y winters wedding. 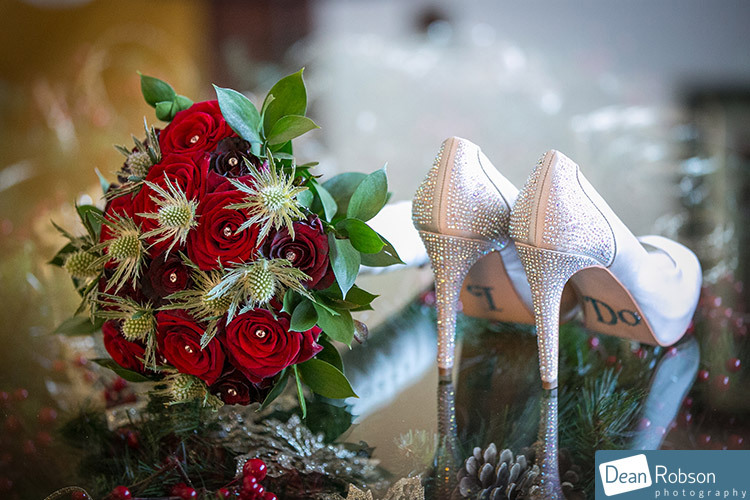 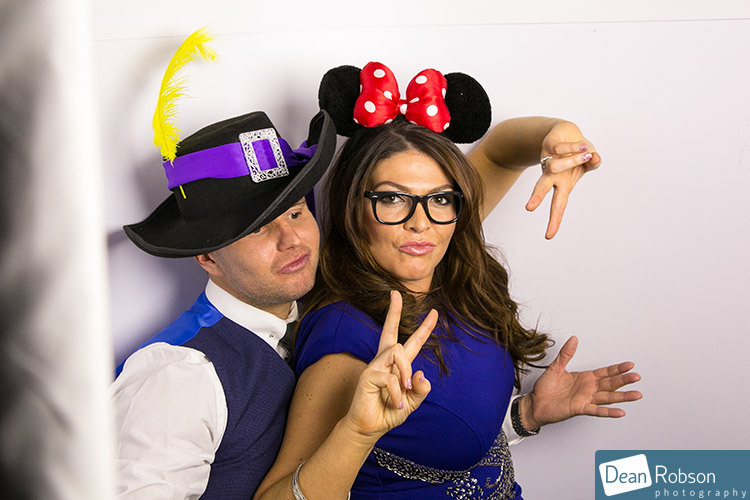 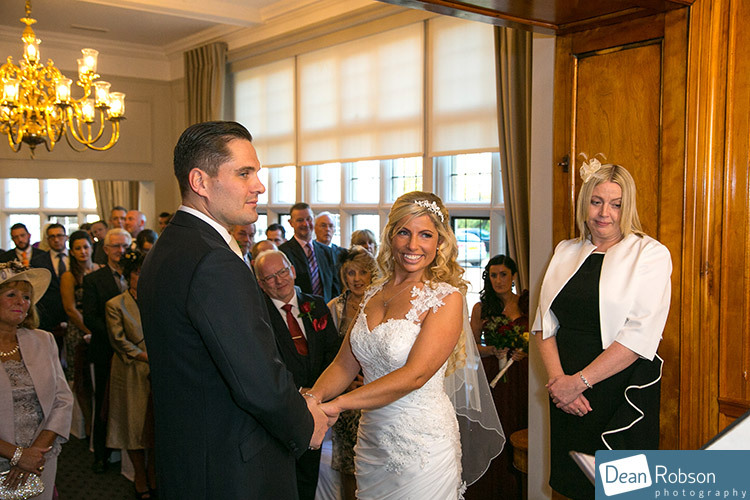 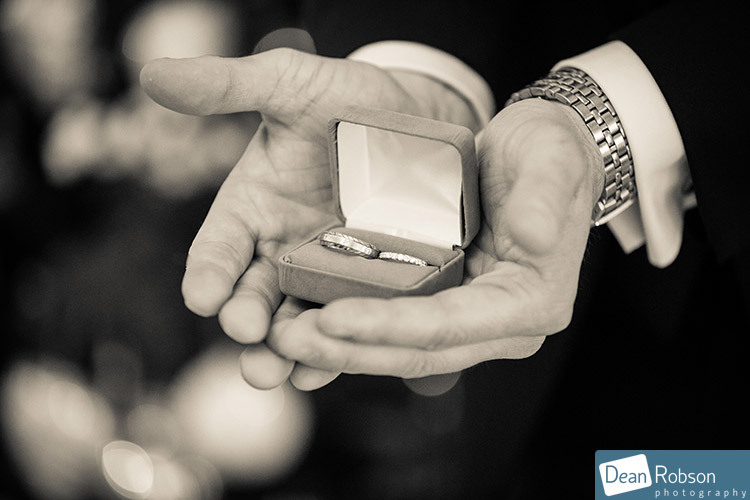 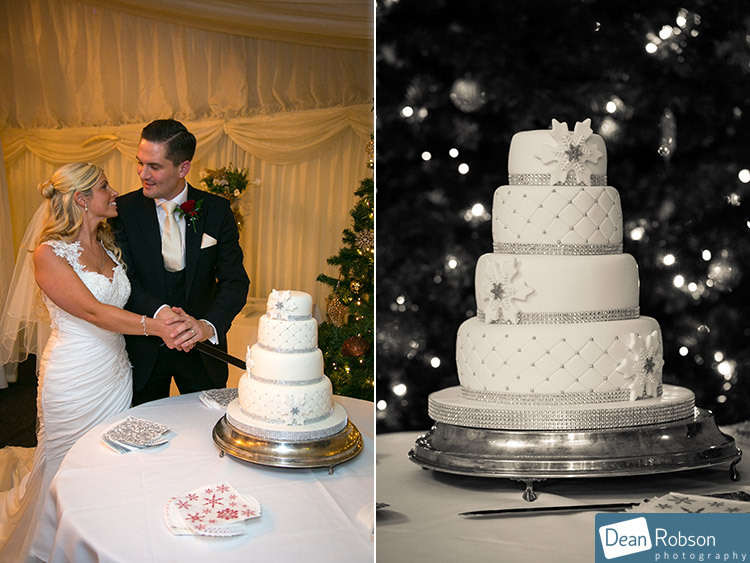 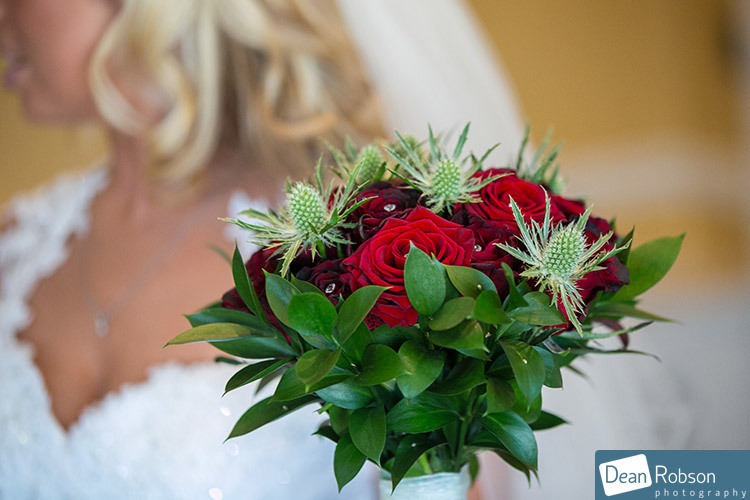 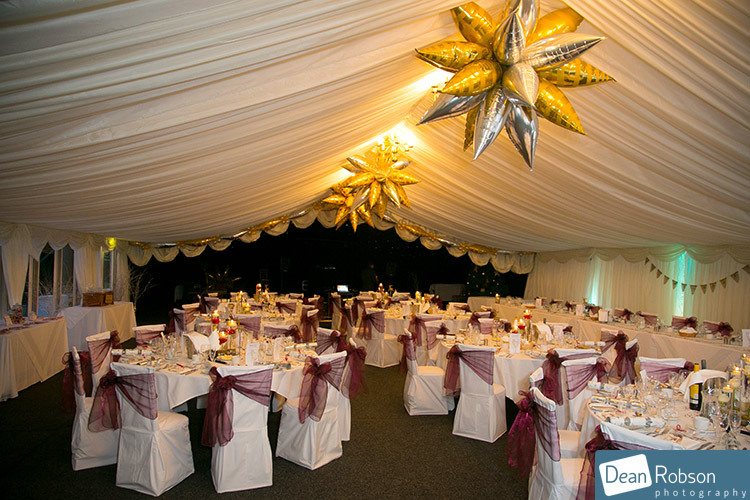 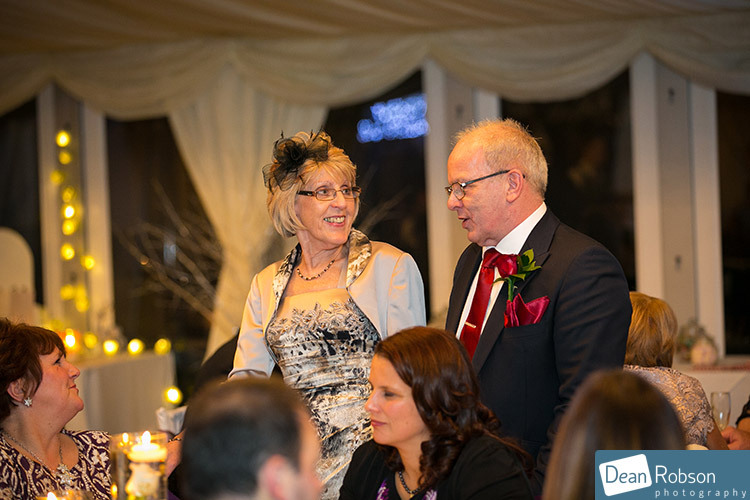 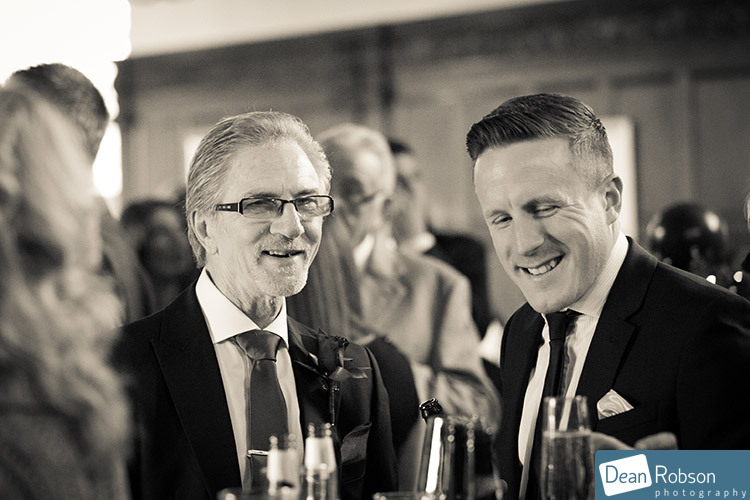 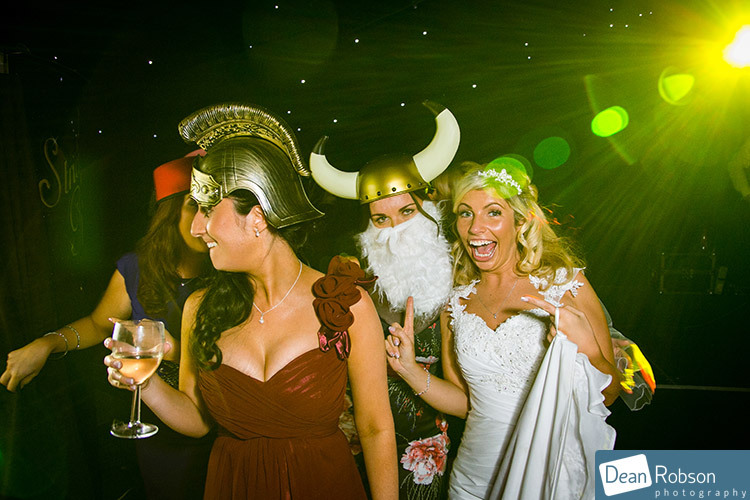 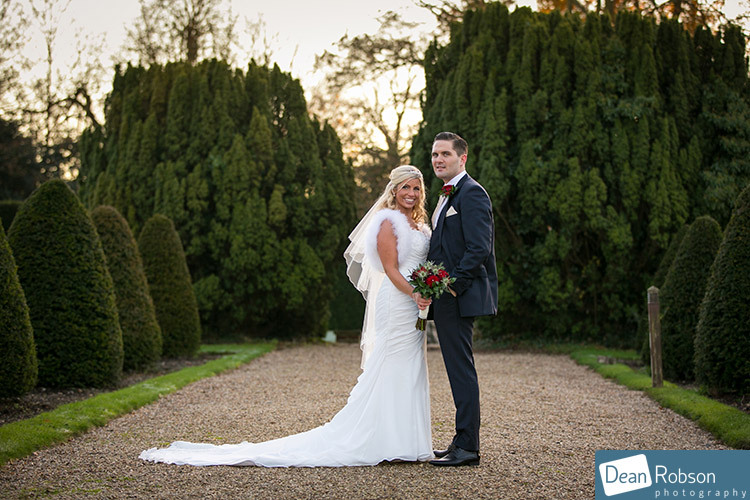 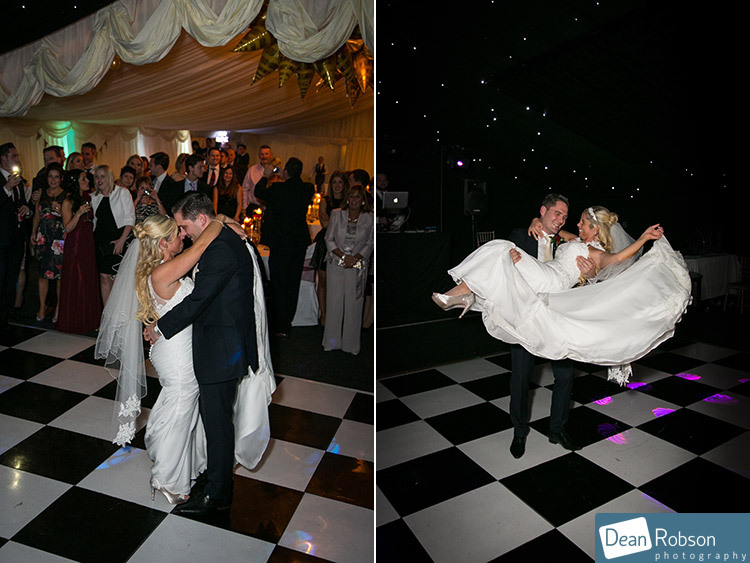 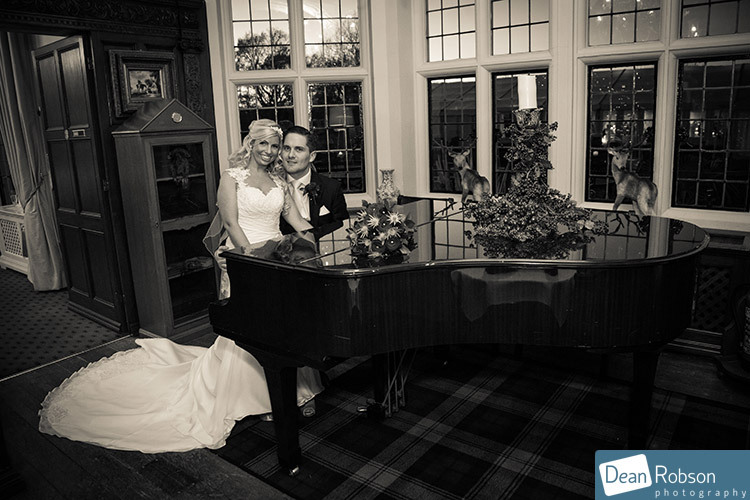 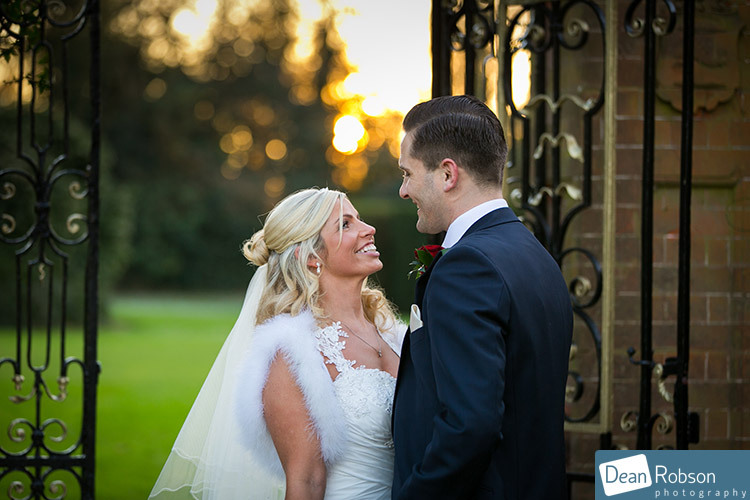 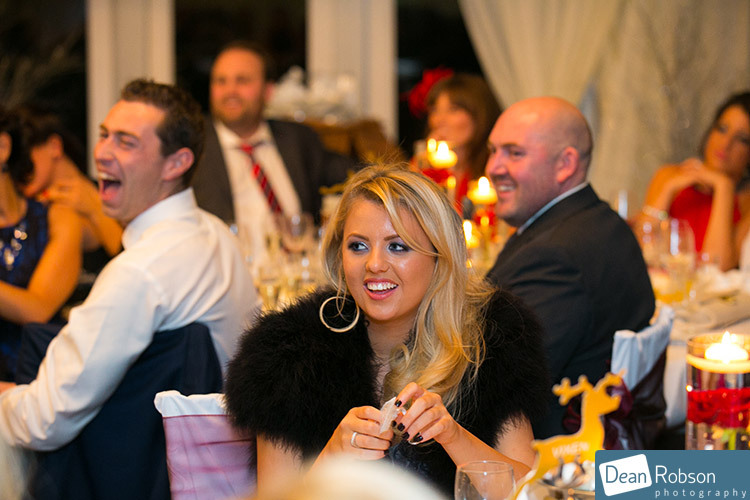 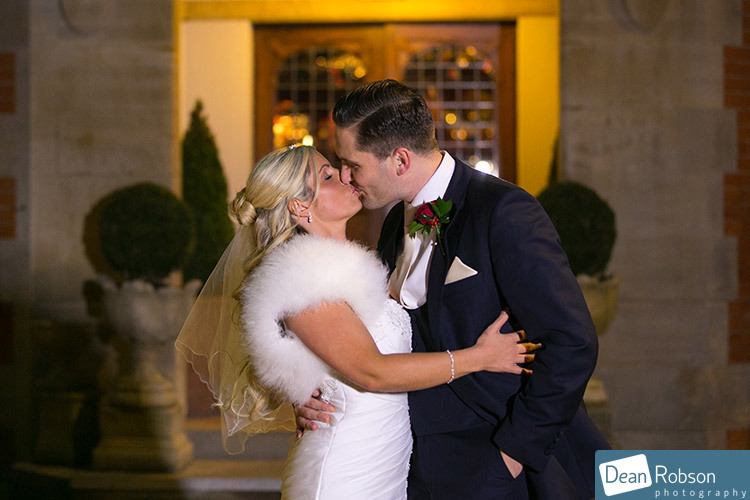 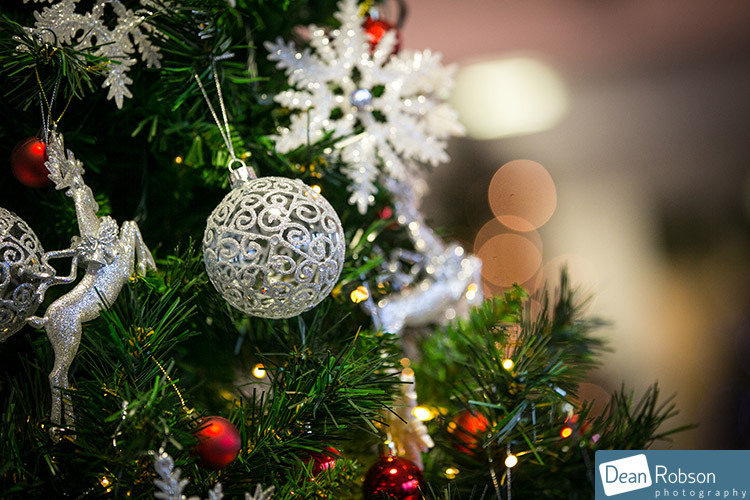 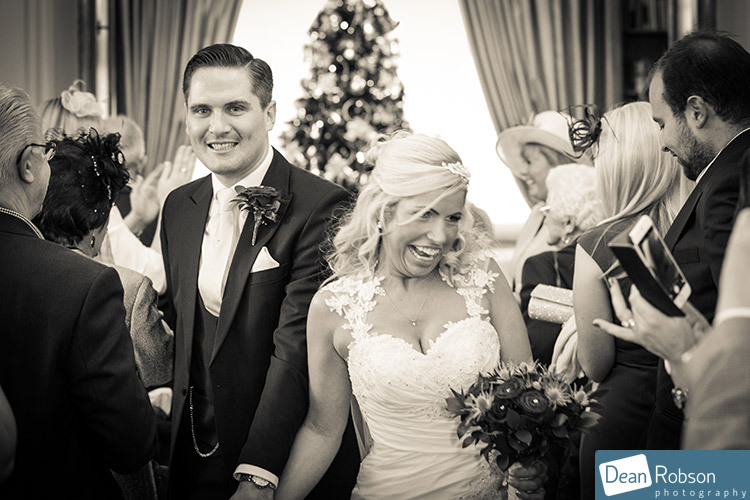 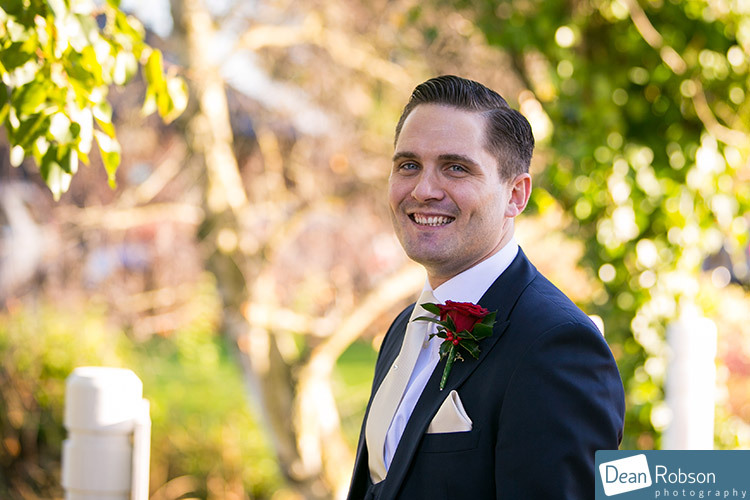 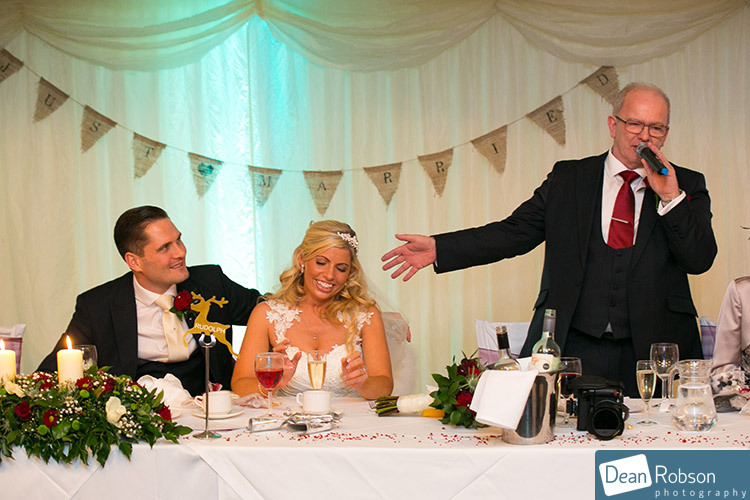 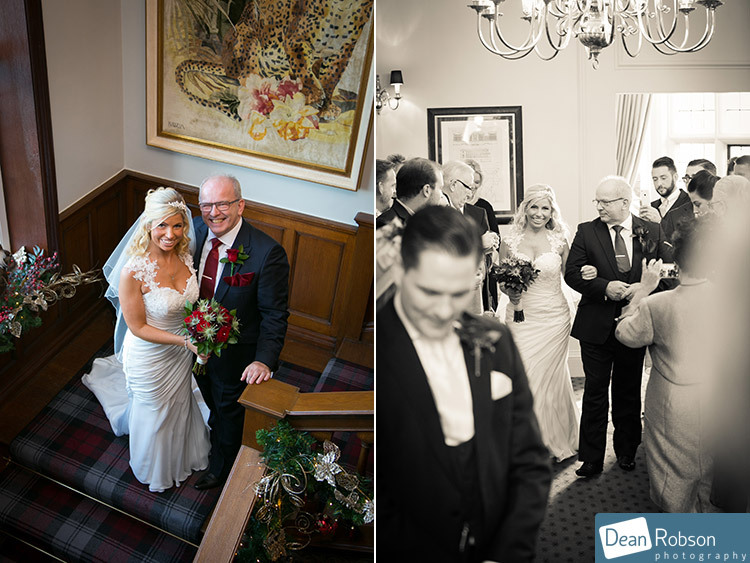 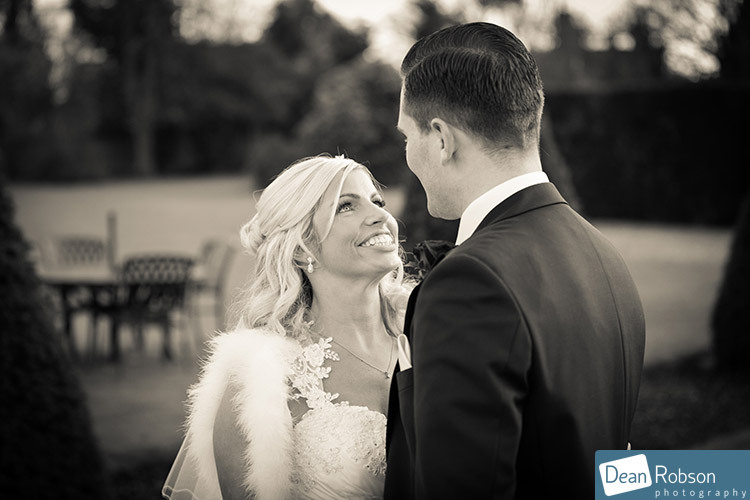 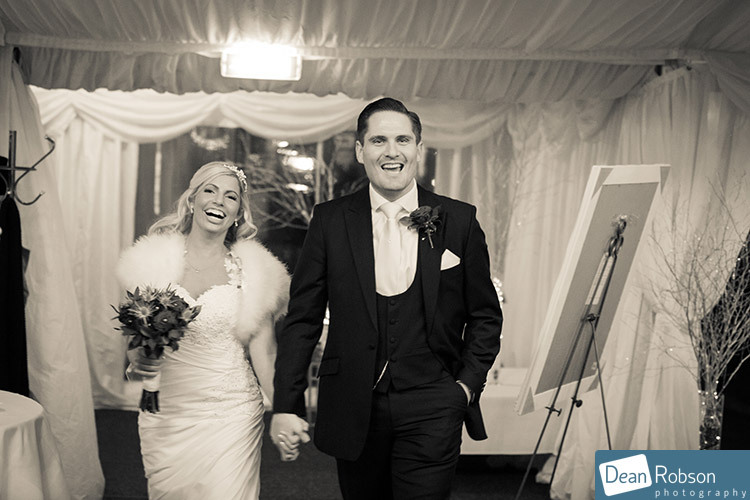 By Dean Robson LBIPP (Blog feature written December 2014) – Qualified and Professional Photographer based in Sawbridgeworth – Greenwoods Hotel Wedding Photography by Dean Robson Photography – Hertfordshire and Essex Wedding Photography.